What is the Subtle Body (the 9th Body)? The Subtle Body is transparent, etheric, and well…subtle. It is vast and contains much wisdom and the knowledge of Infinity. The Subtle Body, also called the Ninth Body, has a very close relationship to the Soul…it is said to carry the soul gently on when it leaves this lifetime. When your Subtle Body is strong, you are very calm and have enormous finesse and intuition. You have a refinement in speech and understanding and learn things very easily. There is an intuitive, open grace and ease about your demeanor. When your Subtle Body is weak you are awkward and easily misled. You may be gullible and crude in your speech. In his book “Waves of Healing“, Dr. Siri Atma Khalsa makes a great point about the connection between the Soul and Subtle bodies and what that Subtle Body really does. He says that the Soul may say that taking a certain action is good. The Subtle Body will then examine the Soul’s suggestion and make refinements to the plan, “tweaking” the path. All people born in September or those born on the 9th, 18th, or 27th day of the month would do especially well to strengthen their Subtle Body, as their numerology places a 9 in a challenge position. 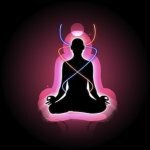 However, all of us can benefit from developing our Subtle Body. How can you strengthen the Subtle Body? The Subtle Body connects to the element of ether. One of the mantras that connects one to the ether element is “Sa Re Sa Sa“. The full words to this mantra are “Sa Re Sa Sa, Sa Re Sa Sa, Sa Re Sa Sa, Sarung, Har Re Har Har, Har Re Har Har, Har Re Har Har, Harung.” “Sa” is the totality of Infinity and has an extremely subtle energy. “Har” is the energy of creation manifested and its energy roots one to the Earth. 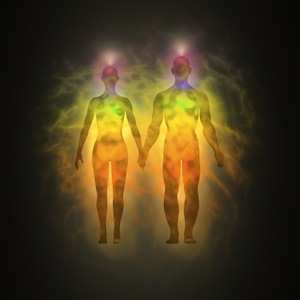 It connects to this etheric realm and helps strengthen it within you, manifesting as your Subtle Body. 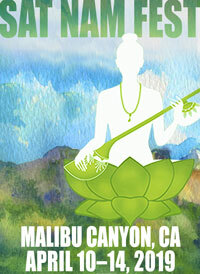 This mantra helps with the refinement of communication, which also strengthens the Subtle Body. Sweet speech strengthens the Subtle Body. Speaking in a saintly fashion, removing coarse words from your vocabulary, and holding to the truth of your words all helps to strength the Ninth Body. The Subtle Body Kriya for Refinement, which can be found in the manual Waves of Healing, helps to develop and enhance the Subtle Body. This same manual also includes a powerful Waheguru meditation to strengthen the Subtle Body. It’s very easy to do. Sit in easy pose, hands in gyan mudra. Chant “Wahe” as you turn your head (eyes shut) to the left shoulder, then chant “Guru” as you turn your head to the right shoulder. Continue for 11-31 minutes. The real key to developing your Subtle Body is to choose a meditation (any meditation) and do this practice for 1,000 consecutive days. Gaining mastery over the self boosts the Subtle Body unlike anything else. The digestion is related to the Ninth Body. If your digestion is weak, focus on refining your diet. The key word for this body is refinement. Get involved in music, arts and dance. Studying these sophisticated arts enhances your own subtlety and sophistication. Guru Teg Bahadur was the 9th Guru of the Sikhs, and according to Yogi Bhajan corresponds to the Ninth Body. This Guru was very powerful in the strength of his own conviction and could not be swayed under any circumstances from his devotion. He performed many miracles across great distances while in meditation. 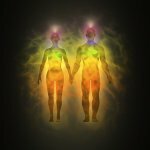 What is the Physical Body (The 5th Body)? 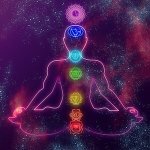 What is the Pranic Body (the 8th Body)? What is the Soul Body (The 1st Body)? Sat Nam. Thankyou Ramdesh for this very helpful information. For those wishing to explore the wisdom of numerology and the ten bodies deeper, may I also suggest referring to Shiv Charan Singh’s teachings? He is the founder of the Karam Kriya Applied Numerology school in Europe (Karam Kriya being the name given to his work with numbers by Yogi Bhajan). He has written a very comprehensive book called Let the Numbers Guide You which goes deep into the Mul Mantra, Sikh Gurus, the Ten Bodies and the numbers. Wahe Guru, dear Ramdesh! Thank you so much for this series of articles on the tenth bodies, They are clear and right to the point, while leaving keys for further study if one so desires. Thank you for that – I didn’t know anything about the 9th Body before that. I appreciate all the exercises you gave (though have to say, I’m completely intimidated by 1000 days of yoga). 30 days in a row seems like a big enough commitment to me. We’ll I’ll start with 1 day and take the 999 days to follow one at a time. 1,000 can seem intimidating, yes! Try for 40 days of yoga first. Committ to that. Then committ to 90 days, then 120, then 365 then by then you won’t want to stop before 1,000. 🙂 Good luck Monick!